So darling! Can be painted white for the shabby chic look or stained. 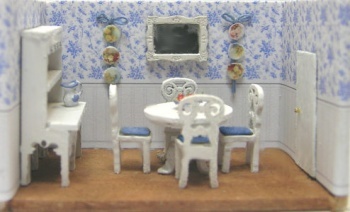 Four cottage style chairs, pedestal table and elaborate french country hutch are included in this kit.